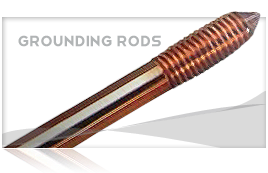 Concentric-lay-stranded conductors made from round 1350 H-19 aluminum wires and round aluminum-clad steel core wires. 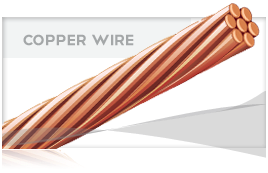 Aluminum-clad steel wire/aluminum conductors are used as phase conductors to increase span length or clearances, neural messengers for spacer cables, ground or shield wires, and as self supporting cables. 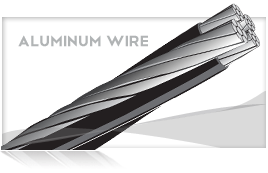 Design of Conductor Aluminum Wires No. Dia. Design of Conductor Alumoweld Wires No. Dia. +Available with polyethylene covering (Low density, High density, or XLP). *Manufactured with pride in DeKalb, IL USA. Order a catalog, or just let us know how we can help. Check if you would like to subscribe to future updates.